This month I’m chock full of tips. Some of them are repeats from the first and second blocks, but they’re good enough that they are worth repeating. 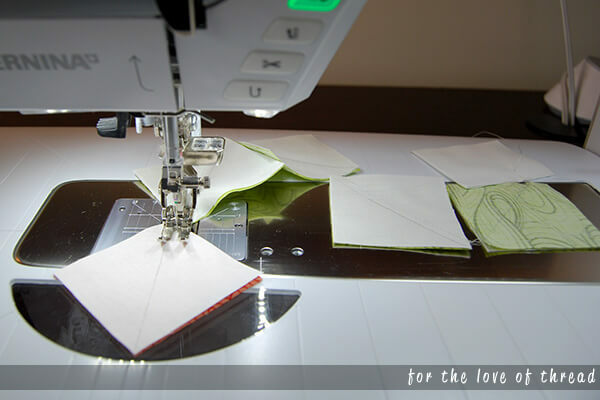 Last month’s cutting tip saved you just over five inches of fabric to cut. Well I found a way to save another five inches this month. Cut two 3 3/8″ strips as the directions call for. 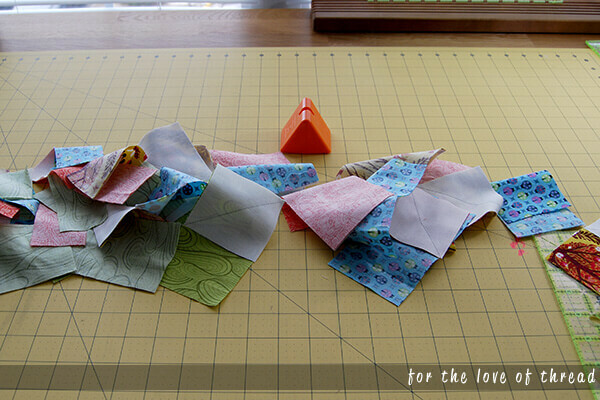 When you’re done subcutting your squares from the second strip, trim that strip to 3″ and start cutting those squares. Then cut two 3″ strips (instead of the three the directions ask for). 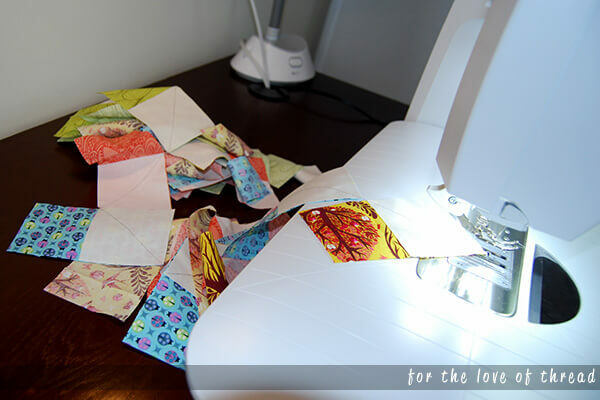 Use these strips to subcut the remaining 3″ squares. You’ve saved three inches so far. Cut one 2 3/8″ strips per the directions. Subcut your squares and trim the remainder of the strip to two inches. 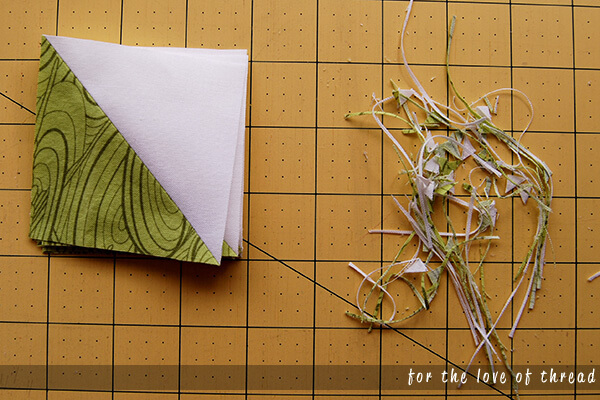 Cut one 2″ strip (instead of the two the directions ask for). 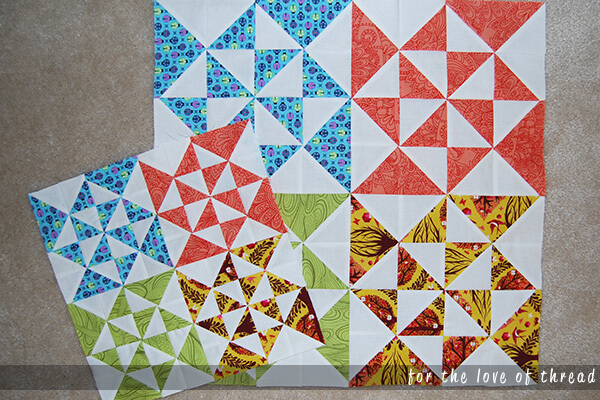 Use this strip and your trimmed strip from the previous step to subcut all your 2″ squares. This saves another two inches of background fabric for a total of five inches saved this month! This sounds like a duh! move, but hang in there with me. Someone in one of my Facebook groups last week asked if chain piecing was OK. She said someone told her it’s a bad thing to do. My first thought was, you don’t need that kind of drama in your life, girlfriend! My pieces going through the machine in a long, beautiful chain! The chained pieces just fall into a pile behind your machine. Then I take them to my cutting table to cut them apart. I love this little gadget with a small blade in it. Just push the threads through and they’re cut! Simply cut the threads between each piece. You’ve officially saved time and thread! The directions tell you to press your seams open for your half-square triangles. If you press to one side, you’ll be able to “lock” the seams against each other when you pair them up. This will leave you with a better opportunity of having perfectly matched points. If you press toward the background fabric, you’ll be locking those seams with the flying geese seams in the next step. Even though it’s tedious work, I definitely take the time after my half-square triangles are pieced to trim them to the exact size I need. I just let my mind wander during this step and often solve some of life’s biggest problems. Like what to eat for dinner! The good, the bad, the tedious! I love taking pictures of my fabric pull any time I start a new quilt or block. It’s just so full of possibilities! The fabrics I used for this block. Oh, the places we’ll go! Are you quilting along? 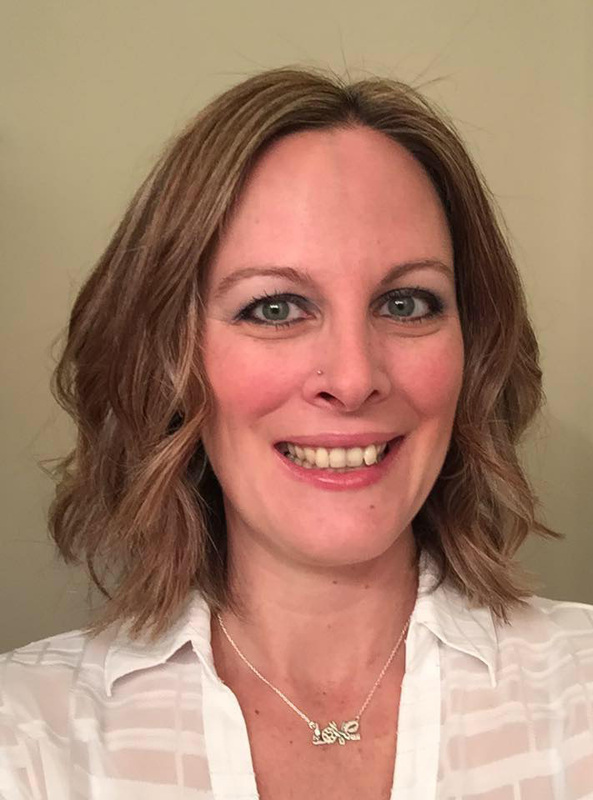 I’d love to see your blocks! I’m @loveofthread on Instagram, Twitter, and Facebook. Tag me so I can see what you’re up to. I see some Tula in that collage, I may own some of it! Great tips; I especially agree on the chain piecing which I learned when I took a Smocking class which was (get ready) 29 years ago! A long time before my quilting life, so chain-piecing is nothing new to me. saves thread, no ‘eaten’ top thread by the bobbin gnarly stuff…and yup I press to the dark side, llike Angela and Jenny 😉 It’s such a lift to see your bright blocks on a misty rainy day here! This year is twenty-stash-teen, so I’m only using fabrics from the stash for any new projects. 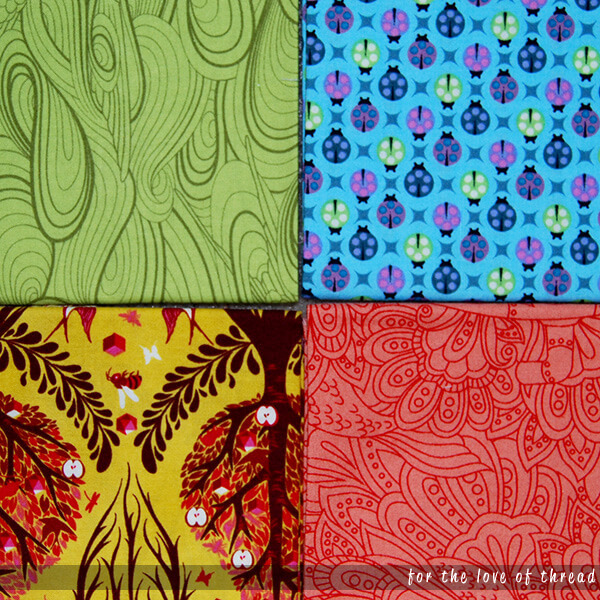 Luckily I had an awesome Tula fat quarter collection! Any my favorite things are chain piecing and quilting on a dreary day. Hi just popping in to say hello. Looks like we are in the same hive.